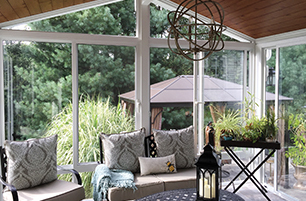 While adding a sunroom to your home will increase your enjoyment of your outdoor living space and add value to your home, there's still the factor of cost. Like many homeowners, the thought of dipping into one's savings can be a little scary. 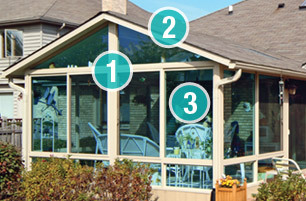 Great Day Improvements, makers of Patio Enclosures® sunrooms, is committed to helping you achieve your home improvement goals, which is why we've partnered with GreenSky® Trade Credit, a leader in the home improvement financing industry. Based on approved credit, borrowers can take advantage of zero interest and zero payments for the duration of the plan if the balance is paid within the plan period. Subject to credit approval. Interest is billed during the promotional period but all interest is waived if the purchase amount is paid before the expiration of the promotional period. 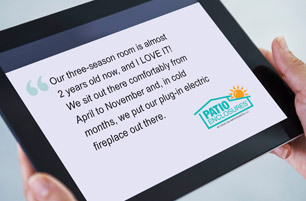 There is no minimum monthly payment required during the promotional period. Financing for GreenSky® consumer loan programs is provided by federally insured, equal opportunity lender banks. Based on approved credit, borrowers can take advantage of reduced APR plans. 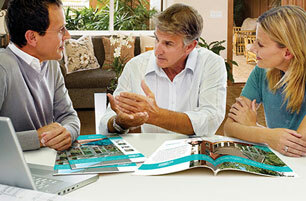 Partnering with GreenSky makes it possible for us to offer some of the lowest rates in the industry. Fixed APR during the life of the loan. Subject to credit approval. Financing for GreenSky® consumer loan programs is provided by federally insured, equal opportunity lender banks. If you're ready to take the next step and discuss your windows project and our financing plans with one of our experts, please fill out the form below. *Discount applies to MSRP. Some restrictions apply. See store for details. Not valid on prior sales or previous quotes. May not be used in conjunction with other offers or discounts. Franchise/dealer participation varies.